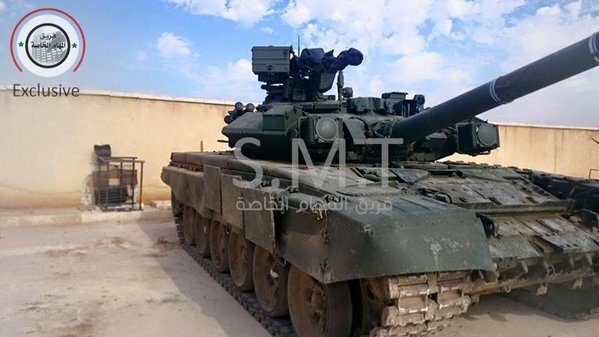 Russian- supplied T-72B with Kontakt-1 in Soviet desert camo. 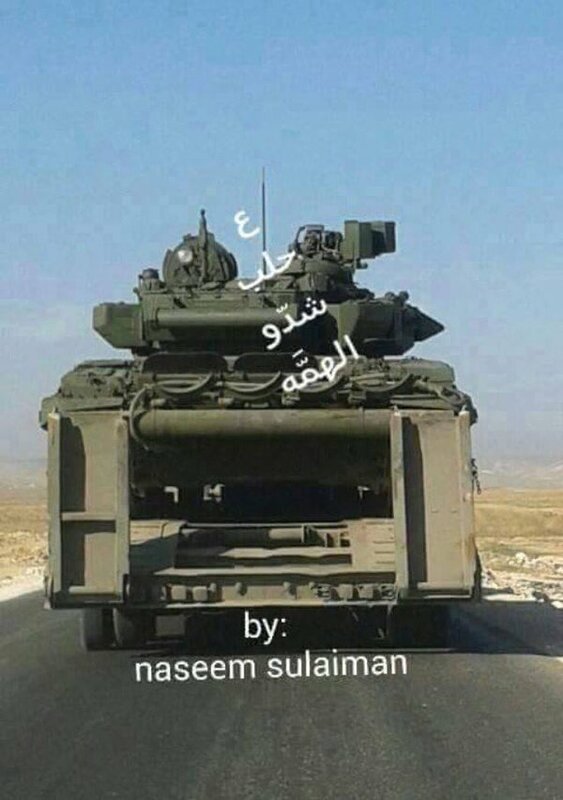 Looks like IMR engineer vehicle. 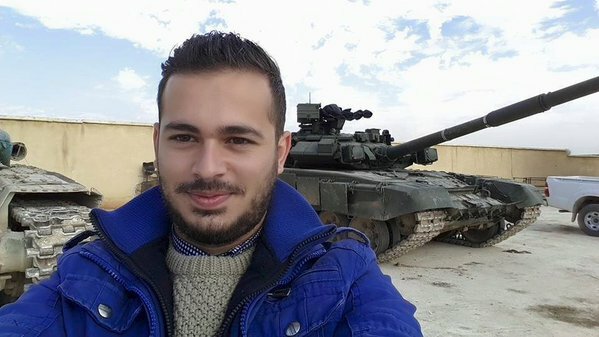 Model of one Syrian T-72, which was filmed by ANNA news, IIRC, in Jobar (around 2012/13). 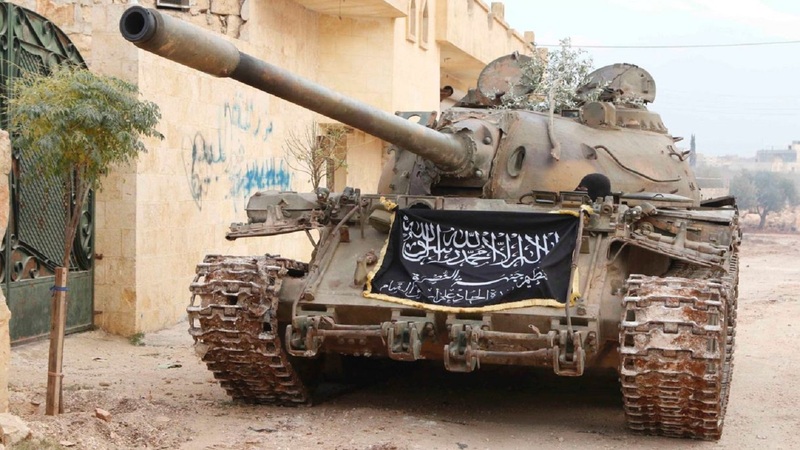 Nusra front T-55 in Al-Zara village. 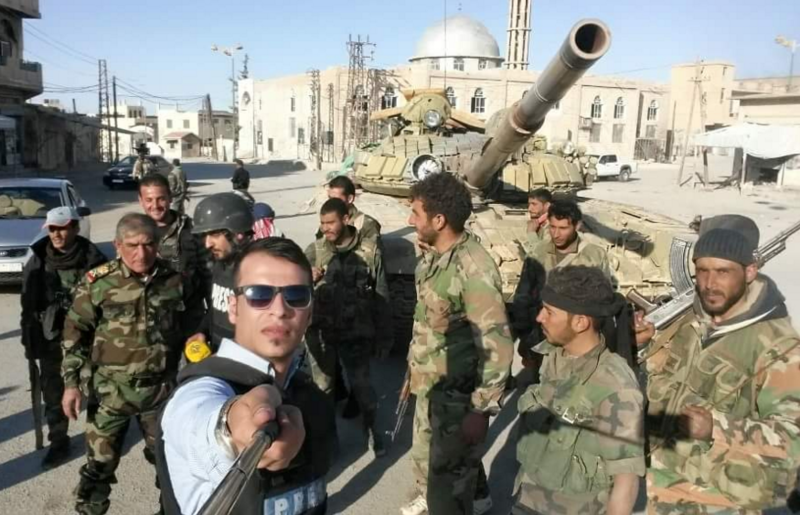 Quneitra, T-55AMV or similar modification. 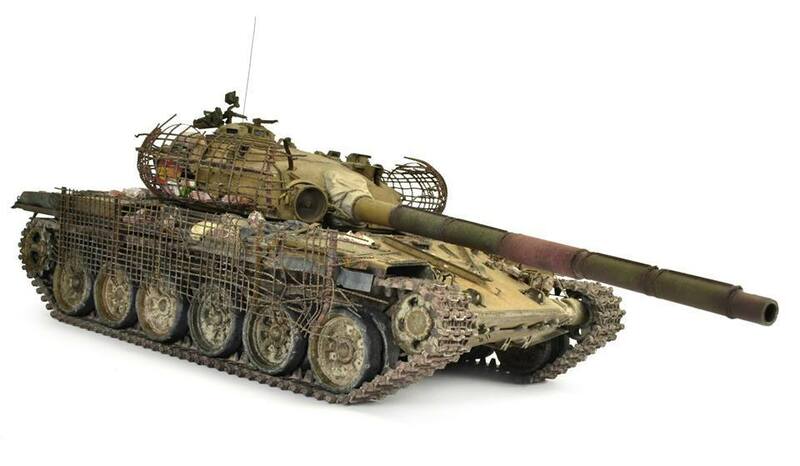 More photos of the T-72B obr 1985 with Kontakt-1 ERA. 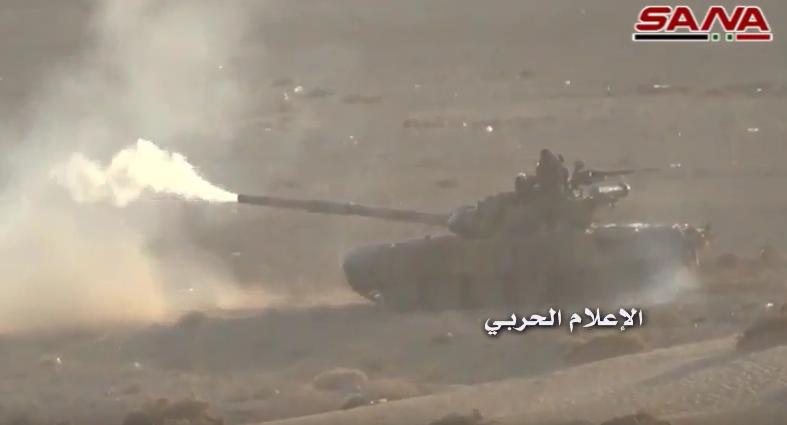 And it is not T-72B1, but a full B version with GL-ATGMs. Putin noted that the products "Uralvagonzavod" is in demand in foreign markets. 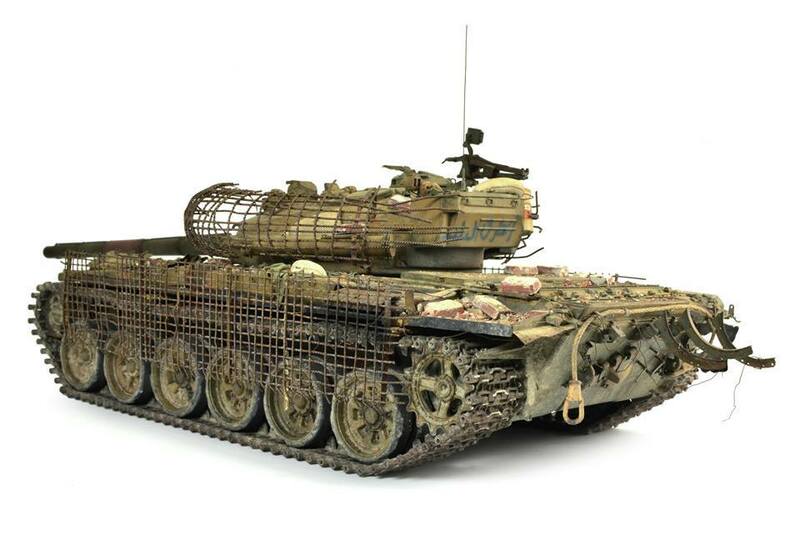 "I recently had the pleasure to communicate with your customers, who spoke and asked for just a T-90, in the conditions in which they are now, they are very much needed. And [they were] already delivered" - the president said. 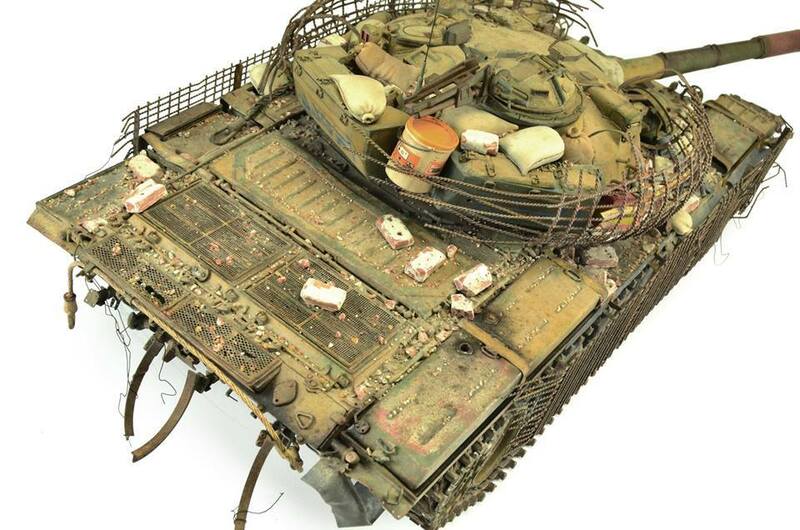 Have any more photos or information about the "Sherman Moderna" shown up? 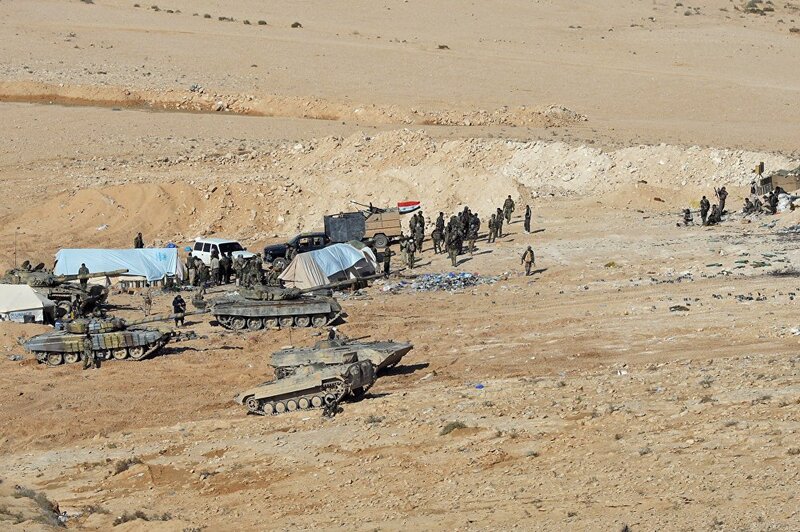 SAA T-55, given to Lebanese forces (Al-Mukowama, possibly), was knock out at the checkpoint in the steppes of Asal al Ward (West Qalamoun) 07/10/2014. 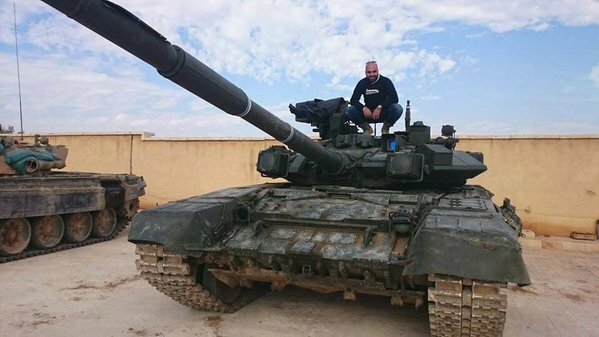 Akhrar Ash-Sham trying to service T-72AV. 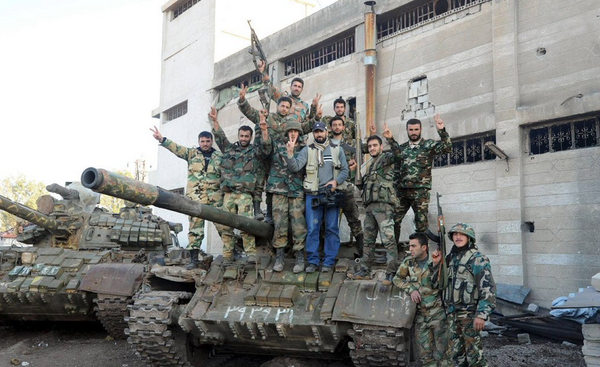 It is little unusual to see "headless" T-72. 2 layers of ERA on the UFP. 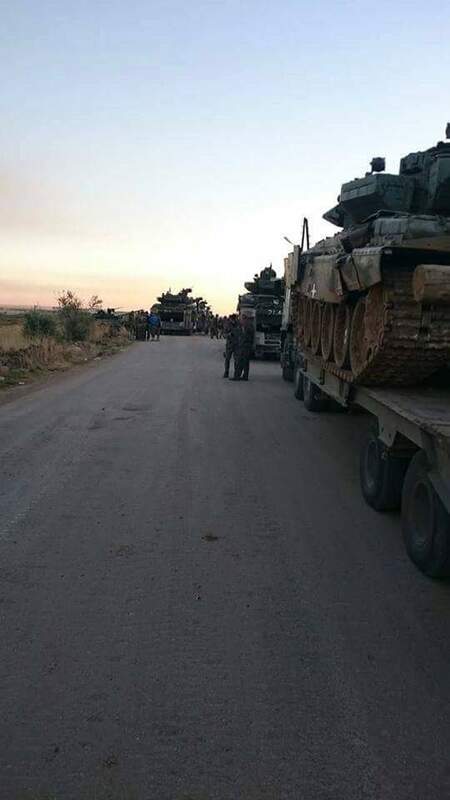 Those tanks are in Syria for less than a month and modifications already started. Instead of this ugly crap our MoD should have added Relikt. Does stacking K1 on top of K1 even do anything? I had read that the explosives in the top brick compress the flyer plate in the bottom brick and tend to detonate the explosives under them at the same time. Since there's roughly equal pressure on the flyer plate of the bottom brick, it doesn't really do much. Osprey mentions it in one of their books. I recall the author being pretty convinced it was a local commander playing a joke on Western visitors. Oplot-M more or less has layered ERA, but there's a little bit of space between the plates, unlike above. The plates are decently angled too. 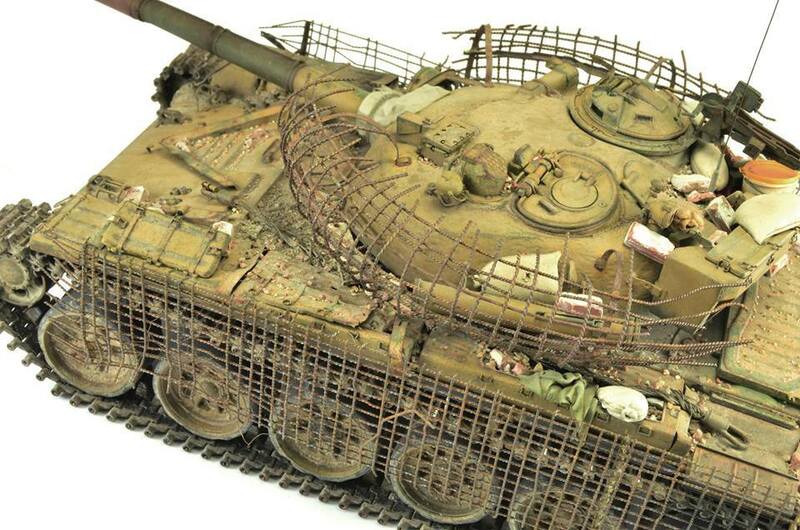 Pictures of this are at the beginning of the Ukrainian Tanks thread, courtesy of Looser. 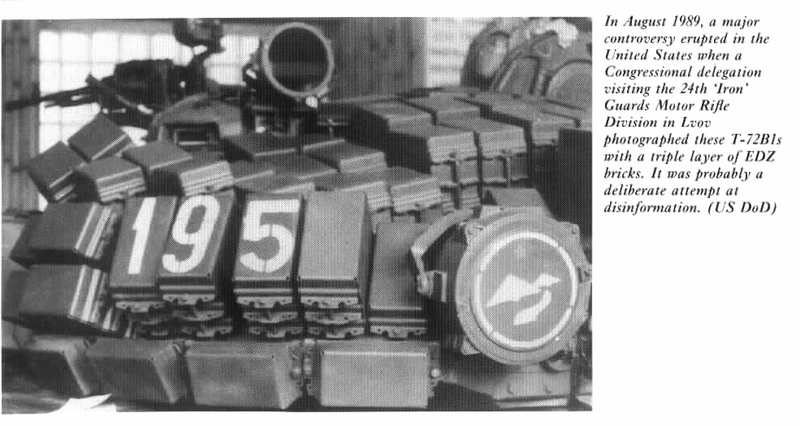 Nozh is prooven to be as effective as Kontakt-5, which makes Nozh pointless (IIRC each Nozh module use more explosives and have more complex structure). 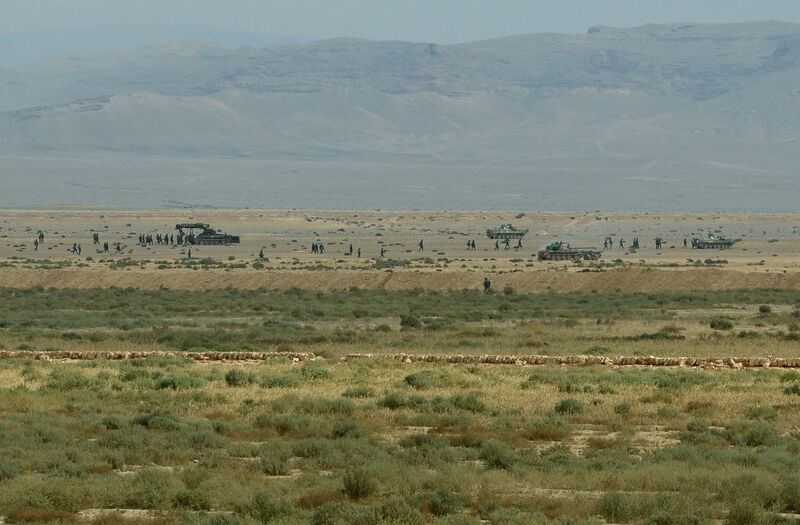 In amy way, Kontakt-1 is still not a complete waste of resources in Syria, as militants use a lot of older RPGs and ATGMs. 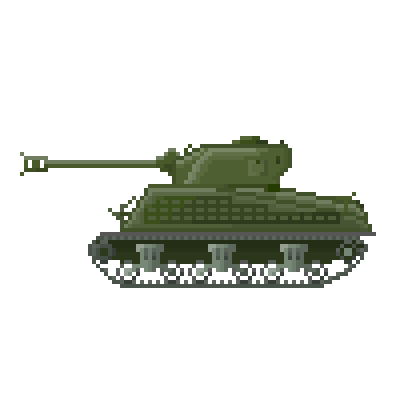 But Relikt would have been much better variant. Duplet ERA is Nozh modules with special material inserts between them to absurb shockwave. Side blocks have 3 layers of Nozh modules, which is crazy.